On Wednesday, May 17, Healthy Cities Tutoring held its 21st annual Volunteer Recognition Reception to celebrate and honor the 361 volunteers who made a difference in the lives of our students this year. 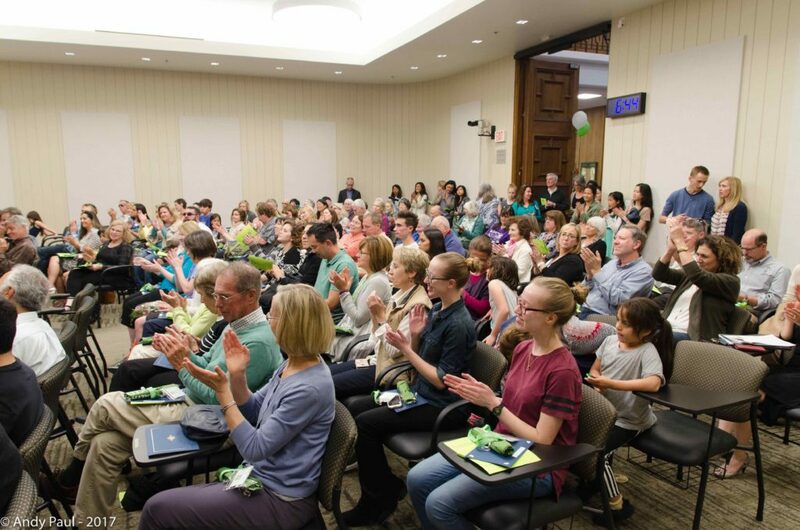 The Council Chambers of City Hall in San Carlos was filled to the brim with Healthy Cities volunteers, teachers, parents, students and supporters from the community to celebrate this years volunteers. The reception began with opening remarks from San Carlos Mayor Bob Grassilli, San Carlos School Board Board President Nicole Bergeron and Redwood City School Board President Hilary Paulson. Additional speakers at the event included principal Steven Kaufman, tutors Samuel Kaufman and Eimon Amjadi, parent Corrina Prado and student Mina Maldonado. All these speakers touched on how the program has made a difference in their lives.